If you are using Sassy Social Share or Super Socializer plugin for Social Share, follow the steps mentioned below to track Social Share with Google Tag Manager. 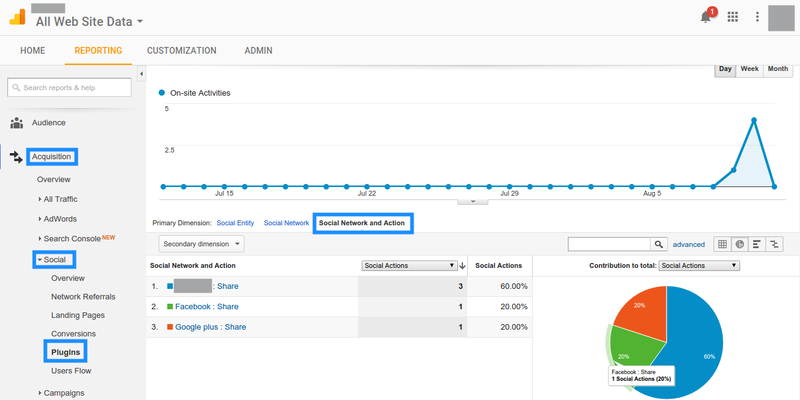 Download, install and activate Social Sharing Analytics add-on. 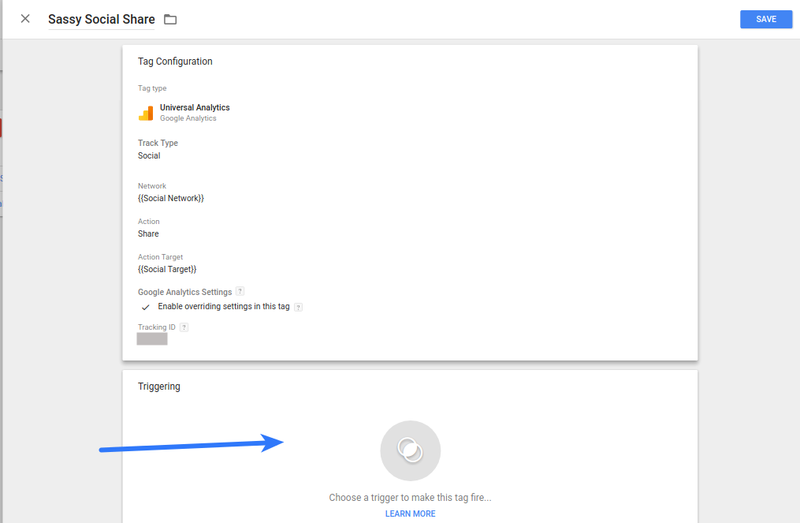 Choose “Yes, I am using Google Tag Manager” in “Already using Google Analytics” option at add-on options page in admin area and save changes. Navigate to https://tagmanager.google.com and login to your account, if not already logged in. 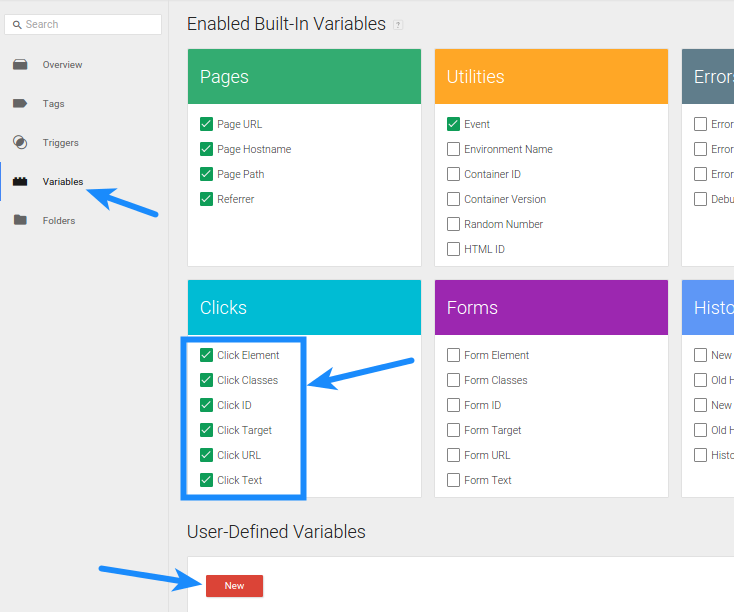 Select the container you are using for your website, by clicking on the container name (We are assuming that you have already created a container to enable Google Analytics at your website). Click Variables in the left sidebar and tick mark all the options in Clicks section. If you are not seeing following screen, check the screenshot below this. Click New button. Name this variable Social Network. Click “Choose a variable….” to configure it. Click Triggers in left sidebar. Add a new trigger by clicking on New button. You can name it something like “Sassy Social Share” or “Super Socializer Share” depending on the plugin you are using. Click “Choose a trigger type to being setup”. Click on Tags in left sidebar. Name it Sassy Social Share OR Super Socializer. You are free to give it any name. Click on “Choose a tag….” to configure it. Configure the tag as shown in the screenshot below. Enter the same Tracking ID as saved in the Google Analytics tag you have created already for the website. After configuring it, click “Choose a trigger….” section. Tick mark the trigger you created in step 11 above (we named it Sassy Social Share) and click Save button. Create Tag by clicking the Save button. Click Publish button. Your changes are live now. 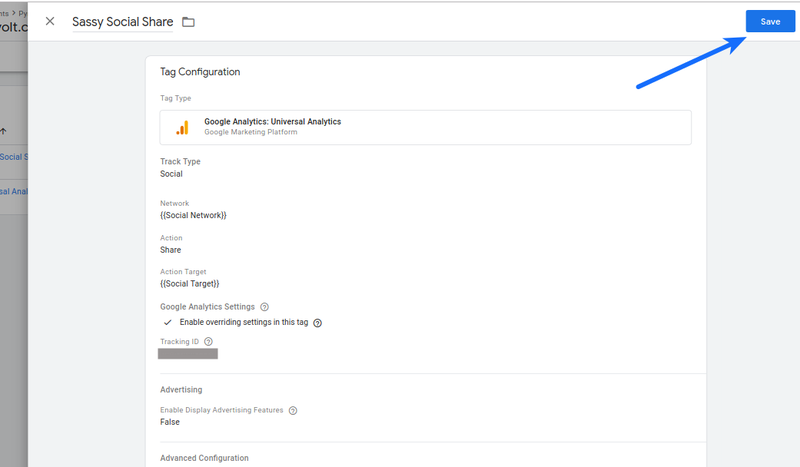 You can see the shares being tracked in the Acquisition > Social > Plugins section in your Google Analytics dashboard after 24 hours (minimum) of making above changes.